Erika Weinmann always wanted to come to New York to be a fashion designer. The year after she became a Bat Mitzvah, she watched her synagogue with its golden dome go up in flames in Bielefeld, Germany, during Kristallnacht. 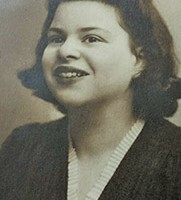 One month later, in December 1938, she was on one of the first Kindertransport trains leaving Germany. With only a seventh-grade education, after bouncing from one foster home to another, Erika agreed to work for Rachal Craster’s family in Middlesbrough, England. Erika worked as a maid and cook for the Craster family for 10 years, from age 14–24. She had a bedroom on the third floor of their large house, but her new life was far from fun and games. She learned to cook, bake and clean, and was paid one dollar a week from which she regularly saved 50 cents. 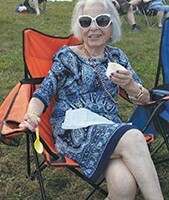 She served all meals and baked challah every Friday. In 1939, Erika wanted to join the women’s branch of the army in Britain, the ATS—Auxiliary Territorial Service. Rachal got a doctor’s note to bar her from enlisting. Every time she packed to leave, she found her bags somehow unpacked. Her books were hidden and she had no friends. Her only entertainment was using her 50 cents to see movies on her time off. While she never became a dress designer, she did finally make it to New York. Erica, now with a “c,” also changed her family name to Wynman. She soon met the man of her dreams and established a fulfilling life marrying her beloved Isidore “Danny” Marcus, a salesman. 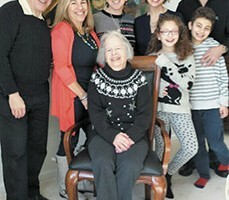 An entrepreneur, after several other business attempts, she eventually ventured into notions sales under Marcus Trading, working 12-hour days into her 80s. She traveled fearlessly to small stores in the worst neighborhoods, from Newark to Philadelphia, selling items from light bulbs to batteries, while raising the couple’s five children. Today, Erica has seven grandchildren and three great-grandchildren. Her eldest child and only son took a special interest in his mother’s history, visiting her “British family” three times. For Erica, it had been a hard life, which left her with bad memories of England. After 43 years and a lot of thought, she went back only once, in 1992, with her daughter, where they met up with three women from the Craster family. Two of the male Craster descendants had visited over the years, staying with Erica and her family in New Jersey. During the week of her father’s shiva in Scotland, Rachal Craster’s great-granddaughter Karen Rosen learned of Erica’s whereabouts from one of those male Craster descendants. Upon her return to America, she called Erica’s son and arranged for her and her sister to meet with Erica and her family. 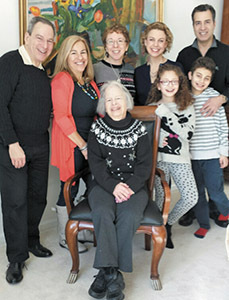 Karen visited the Marcus family again, with her husband and two children, to celebrate Erica’s 91st birthday in February at her home in Monroe Township, New Jersey. It was then that Erica and her family arranged to come to a South Orange Performing Arts Center (SOPAC) – sponsored event to see Karen perform as the vocalist in the Big Radio band. 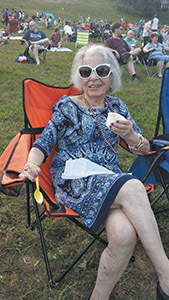 After the concert at Flood’s Hill in South Orange, Karen, this time accompanied by her sister Elaine Mishkin and her grown daughters, gathered with Erica and three of her children, Andrew, Tobie and Sheryl. Elaine’s daughters listened intently as Erica professed that Rachal’s son Colin Craster was a “very, very nice man,” adding that it was Colin who had helped her cousins sponsor her trip to America. Karen and Elaine were beaming as Erica spoke of their maternal grandfather. The Craster descendants had always known about Erica and the women felt privileged to finally meet her. For Erica, it was an unbelievable experience to learn new details of her English “family.” One of the first questions she asked was “Whatever happened to Colin?” His granddaughters revealed he died in 1979 at age 79. At the South Orange gathering, the women showed Erica photos of the Craster ancestors and pictures from a recent family reunion. The women delighted in the details of their family’s history that Erica was able to impart, and welcomed her help with identifying those in the older photographs. Erica recalled her life with the Craster family. “There were 11 people living in the house at the time. I would bring the family tea in bed each morning. Then they would get dressed to kill and step out for tea...again. They would shop, only to return what they bought the next day.” So went the life of this large wealthy family, who owned three stores in England, and had a servant from Germany. 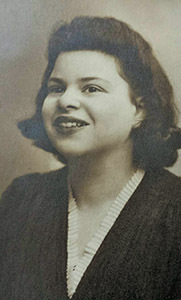 “The three shops included a retail clothing store, a beauty shop and a manufacturing business for soldiers’ uniforms during World War II, according to…my mom,” said Erica’s son Andrew, who went on to say, “Our mom lost a number of family members in the Holocaust, including her parents, our grandparents, Hilda and Ulrich Weinmann, and uncle, her father’s brother. Others escaped to all parts of the globe.” Fortunately, Erica and the Craster family found one another.